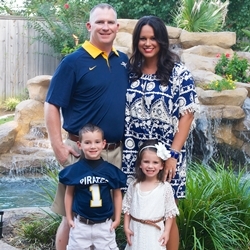 Coach Lane and his wife Jamie have two sons, Trey (6) who attends Pine Tree Primary and Tyler (2). Coach Lane comes to Pine Tree from Gilmer ISD where he was their passing game coordinator. He has also coached at Arp, Gladewater and Waskom. ​Coach Lane helped lead the Gilmer football team to be State Champions in 2014, a season where they scored 950 points (2nd most all time in Texas High School football). They were State semi-finalist in 2015 and State finalist in 2012. He also helped coach the track team to a State Championship in 2015. Coach Aubrey is from Tyler, TX. He attended Stephen F. Austin State University where he received his degree in Kinesiology. Coach Aubrey grew up in Tyler and graduated from Robert E. Lee High School where he earned a football scholarship to SFA. While playing four seasons, he was an All-Conference player and on the Commissioner Honor Roll. 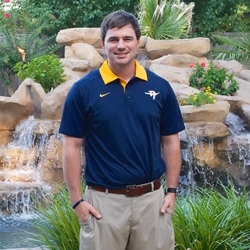 He also was a one year GA coach at SFA and now enters his first year at Pine Tree. Coach Aubrey is married to Amanda Aubrey. Coach Barnett is from Garland, TX. He graduated and received his B.S. in Business Administration from Tarleton State after transferring from Iowa State where he played football. Coach Barnett is in his second year of coaching here at Pine Tree. His parents are Duke and Laura Barnett and he has two siblings, Meghan (25) and Justin (29). Coach Blair is from Mabank, TX. 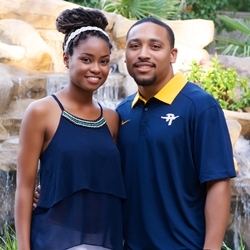 He attended Texas State University and earned a degree in Exercise and Sports Science. Coach Blair coached three years at Garland HS from 2012-2015 and joined our coaching staff here at Pine Tree last spring. Coach Bryant is from Gilmer, TX. He attended the University of Texas at Tyler and earned a Bachelors of Science, majoring in History with a minor in Social Studies. Coach Bryant has 5 years coaching experience and this is his second year at Pine Tree. 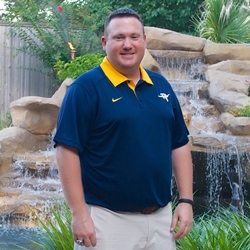 His experience includes an internship with Grace Community School in Tyler (2008-09), Brownsboro (2010-11), and Commerce (2012-13). Coach Bryant has been married to his wife Amanda for 5 years and they have a 2 year old daughter named Elizabeth and an 8 month old son named Turner. He likes to spend time with his family and likes to hunt and fish as much as he can. He absolutely loves coaching and the game of football; it provides a wonderful opportunity for many of our young men. 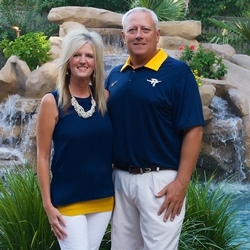 Coach Burns is originally from Pittsburg, TX. He attended Stephen F. Austin State University and has a Bachelors of Science degree. 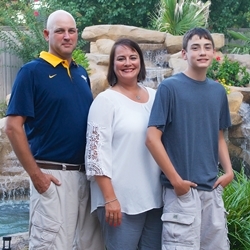 Coach Burns has 17 years coaching experience, with 14 of those at Pine Tree. His experience includes various positions/sports from JH to HS at Union Grove (2007-2010) and 2 stints at Pine Tree (1999-2007 & 2010-present). Coach Burns and his wife Tina have 2 children, son Kole (11) and daughter Taylor (20). Coach Costlow is from Malakoff, TX. He attended Texas A&M University and received his Bachelor’s in Kinesiology and Special Education. He earned his Master’s in Educational Leadership from Lamar University. Coach Costlow has 11 years coaching experience and this is his second year at Pine Tree. He spent 10 years coaching at Lake Travis (2012-14), Garland (2008-12) and Mabank (2005-08). 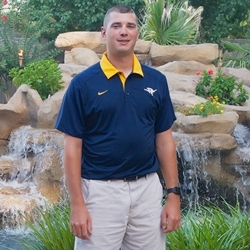 Coach Denkins is from Longview, TX and is an alumnus of Pine Tree High School. 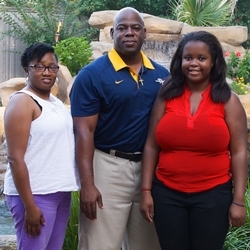 He attended East Texas Baptist University and received his B.S. in Athletic Training. He has 8 years experience with all 8 years being here at Pine Tree. Coach Denkins is not married, but has 1 kid…a 75 lb English Bulldog named Bentley. Coach Ellsworth is from Corpus Christi, TX. 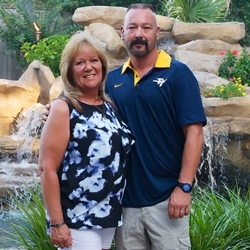 He attended Stephen F. Austin State University and has a Bachelor’s of Science degree. 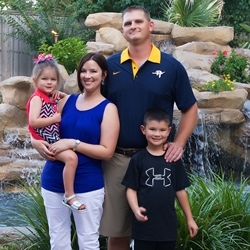 Coach Ellsworth has 10 years experience, with 7 years at Marshall ISD coaching football, track and baseball, and is currently in his 2rd year at Pine Tree. He and his wife April have been married 27 years and have a 2 year old daughter named Peyton. Coach Griffith is from Diana, TX. 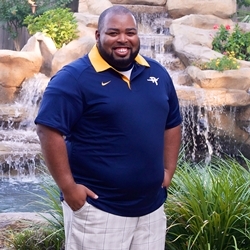 He attended Stephen F. Austin State University and earned his Bachelor’s in Kinesiology and minor in Deaf Education. 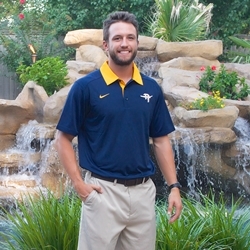 He is in his second year coaching at Pine Tree. Coach Griffith’s wife’s name is Alyssa. Coach Hawkins is from Longview, TX. He attended Henderson State University where he earned his B.S. in Business. Coach Hawkins has been coaching for 22 years with 15 of those years at Pine Tree. He has also coached at Mt. Pleasant HS. Coach Hawkins has been married to his wife Deidre for 23 years and his children are, son Victor (20), daughter Debra (16), foster sons Robert Hines (20) and AJ Skeins (20); and grandchild, Mrycall (2). He is also the Associate Minister of Hughes Chapel CME Church. Coach Hornsby comes to us from Redlands, CA. He earned his degree in History at Ashford University. Coach Hornsby has coached for 18 years and this is his first year at Pine Tree. His coaching experience includes Asst HC, recruiting coordinator and DBs at Redlands HS (2013-14), def coordinator at Grand Terrace HS (2012) and DBs at Redlands HS (1997-2011). Coach Hornsby and his wife Megan have 2 daughters, Madilyn Grace (6) and Hailey Lane (2). His hobbies include anything to do with football, being a beginner golfer and spending time with his girls. Coach Johnson is from Mabank, TX. He attended the University of Texas at Tyler and received a B.S. in industrial technology. Coach Johnson is in his first year of coaching here at Pine Tree. Coach Key is from Mabank, TX. He attended the University of North Texas and earned a degree in Kinesiology. Coach Key is beginning his second year of coaching. Coach Kyle is from Gilmer, TX. He attended Stephen F. Austin State University and received his B.S. in Kinesiology. 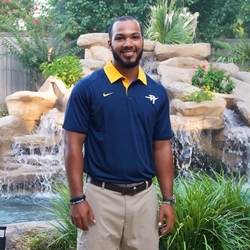 He has 2 years coaching football, basketball, baseball and track at DeKalb HS and is in his second year at Pine Tree. 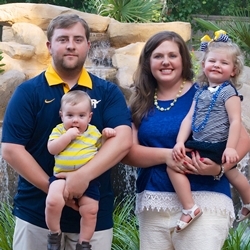 Coach Kyle is a Gilmer High School graduate of 2007 and a member of their 2004 state championship football team. Coach Lambert is from Ganado, TX. 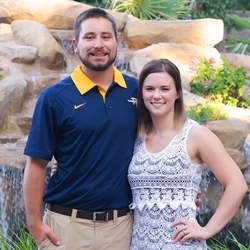 He attended Angelo State University earning a Bachelor of Science degree in Kinesiology, and lettered 4 years with the football team. 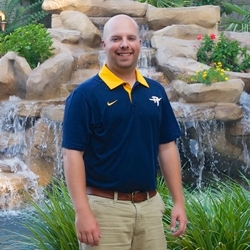 Coach Lambert has 12 years coaching experience and is in his second year at Pine Tree. 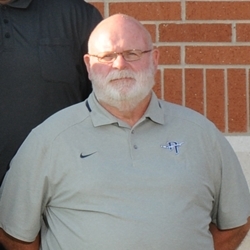 His coaching experience includes Gregory-Portland HS, Lake Travis HS, Odessa Permian, Bonham JH at Ector County ISD, and Travis MS at Temple ISD. Coach Lambert was a part of the Lake Travis State Championships Teams in 2010 & 2011. While coaching at Odessa Permian, the coaching staff was elected to coach in the THSCA 2008 All-Star Football Game. He has been married to his wife Amber for 12 years, and they have 2 children, son Kyler (6) and daughter Paisley (4). Coach Petersen is from Hallsville, TX. He attended Louisiana Tech University and received a degree in general studies. He also played baseball at Louisiana Tech and was drafted out of high school by the Tampa Bay Rays. Coach Peterson coached baseball at Ruston HS in Ruston, LA for one year and is now in his second year at Pine Tree. 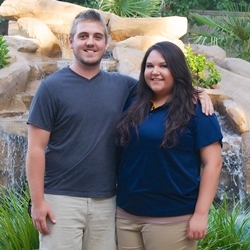 His parents are Jason and Brenda Petersen, and his siblings are Brandon (21) and Amanda (18). Rachael is from Port Aransas, TX and attended Texas A&M University at Corpus Christi where she received her Bachelor of Science in Athletic Training. 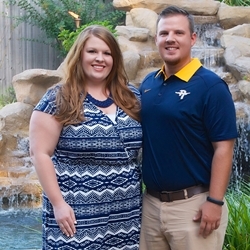 This is her first year as a certified athletic trainer and her first year at Pine Tree. While attending Texas A&M University at CC as an athletic training student she worked for 4 years with men’s basketball, men & women’s track and cross country, and high school sports at Mary Carroll High School. Rachael’s parents are Robert and Emily Phillips and she has two siblings, Lia and Ozzie. Rachael made the move to Longview with her boyfriend Keiron Spivey and they love to watch baseball with their two husky mixes, Momo and Jack. Coach Pyle is from Brazoria, TX. He attended the University of Texas at Tyler where he received a B.S. in history, and also his M. Ed. in Administration and Leadership. 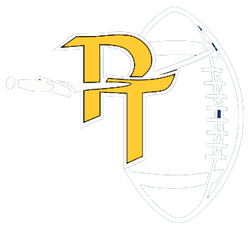 This will be Coach Pyle's first year here at Pine Tree and has 7 years coaching experience including years in football (7), baseball (5), basketball (3) and track (2). He and his wife Mary have 3 children (2 sons/1 daughter) and 10 grandchildren (5boys/5 girls). 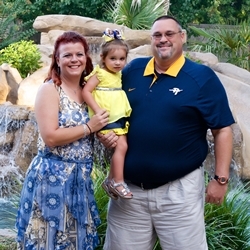 Coach Pyle’s hobbies include golf, fishing and riding motorcycles. Coach Sheppard is from Henderson, TX. He attended Stephen F. Austin State University where he earned his Bachelor of Science. Coach Sheppard has 11 years coaching experience and this is his first year with Pine Tree. This will be his 10th year as a head baseball coach, during which he spent the last 3 seasons in Center, where they reached the Area round in 2014 and the Regional Semifinals in 2015. 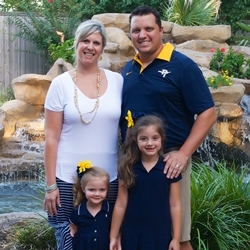 Coach Sheppard and his beautiful wife Heather have been married for 13 years and have 2 children, Cy (7) and Cara (3). Coach Steele is from Stephenville, TX. He earned B.S. in Kinesiology at Tarleton State University and his M.S. at UTPA. 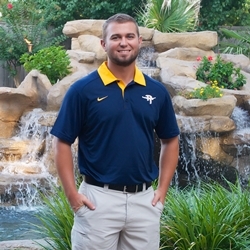 Coach Steele has 5 years coaching experience and is in his second year at Pine Tree. 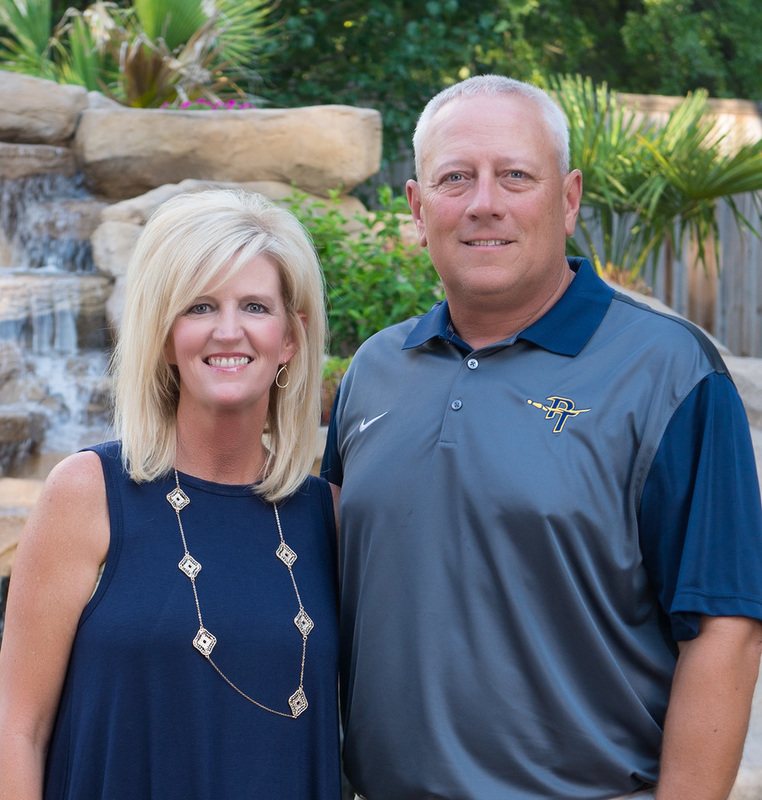 His previous experience was at Lake Travis ISD (2 years) and Cherokee ISD (1 year), where he coached football, basketball and track and Stephenville FAITH (1 year). 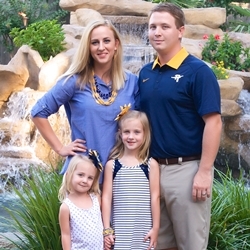 Coach Steele has been married to his wife Sarah for 9 years and they have 2 children, Kadence (6) and Hadley (3). Coach Walters is from Longview, TX. He attended Baylor University where he received his Bachelors degree. Coach Walters has 23 years coaching experience, 7 years here at Pine Tree. Prior to coming to Pine Tree he coached at New Diana HS (3 years), Crisman School in Longview (8 years), John Tyler HS (2 years), Sherman ISD (3 years). He and his wife Judy have been married for 41 years and have 2 children, Drew (37) and Mary (36); and 2 grandchildren, Lillie (11) and T.J. (4).